Heidi Schultz, PAC joined Dr. Barkey in 2010. Heidi did her undergraduate work at The University of Michigan earning a BS in kinesiology in 1999. She received her Masters of Science – Physician Assistant degree from CMU in 2001. In 2007 she passed her re-certification examination. She was recertified in 2013. 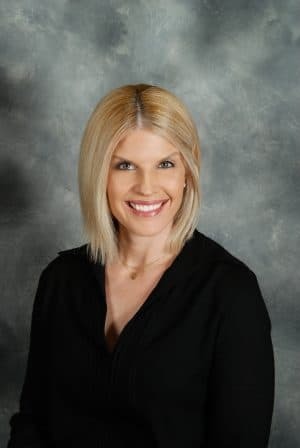 Before starting with Dr. Barkey, Heidi worked for 6 years in the Emergency Department of Beaumont Hospital in Royal Oak, for two years with a plastic surgeon in Birmingham, and for two years with a thoracic surgery group at Beaumont in Royal Oak. Heidi was the first surgical assistant for all surgeries with both the plastic surgeon and the thoracic surgery group. She has performed many surgeries under the direction of a Birmingham plastic surgeon, Ellen Janetzke, MD, and also under the direction of a Mohs micrographic surgeon, Parrish Sadeghi, MD.